144 Beacon was built ca. 1860, one of two houses (144-146 Beacon) built at different times but designed as a single symmetrical unit with a common cornice and mansard roof, and with matching entrances. 144 Beacon was originally numbered 122 Beacon but re-numbered as 144 Beacon in about 1862 when homes were built on the south side of the street. 144 Beacon was built as the home of John Adams Blanchard and his wife, Georgiana (Goddard) Blanchard. They previously had lived at 17 Pemberton Square. He was an East India shipping merchant and investor in textile mills. 144 Beacon was built on part of a 63 foot wide lot that John Blanchard purchased from the Boston and Roxbury Mill Corporation in three transactions: a 56 foot lot on June 20, 1859, a four foot lot to the west on July 2, 1959, and a three foot lot to the west of that on July 28, 1859. On August 4, 1859, he sold the eastern three feet to Gardner Brewer, and then built his home at 144 Beacon on a 30 foot lot. In November of 1860, after 144 Beacon was completed, he sold the western lot, with a 30 foot frontage, to Susan Jones Welles and her sister, Jane Welles, and they subsequently had 146 Beacon built on it. Click here for an index to the deeds for 144 Beacon. 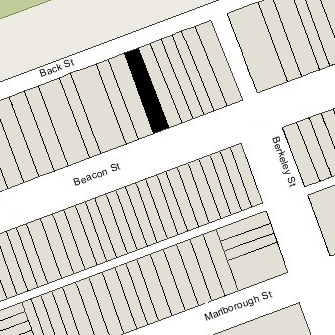 John and Georgiana Blanchard moved to 58 Beacon by 1862. On January 16, 1862, 144 Beacon was purchased from John Blanchard by James Parker. He was a widower and previously had lived at 65 Mt. Vernon. 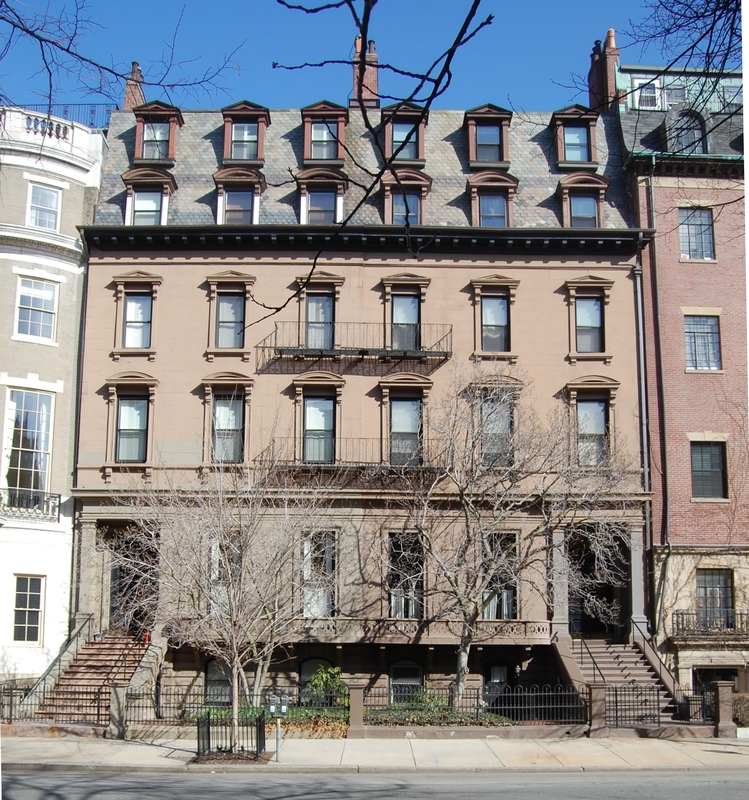 His son-in-law and daughter, John Templeman Coolidge, Jr., and Anna Tucker (Parker) Coolidge, lived at 148 Beacon. James Parker continued to live at 144 Beacon until his death in September of 1878. On November 22, 1878, 144 Beacon was purchased from James Parker’s estate by George Phineas Upham. He and his wife, Sarah (Sprague) Upham, made it their home. They previously had lived at 122 Beacon. George Upham was a merchant and sales agent for several cotton mills. Sarah Upham died in January of 1900. George Upham continued to live at 144 Beacon until his death in November of 1901. On March 24, 1902, 144 Beacon was purchased from George Upham’s estate by Helen (Carpenter) Moseley, the wife of Frederick Strong Moseley, a note and investment broker. They previously had lived at 8 Gloucester. They also maintained a home in Newburyport. Frederick Moseley died in June of 1938. Helen Moseley continued to live at 144 Beacon until her death in October of 1952. On January 27, 1953, Helen Moseley’s estate transferred 144 Beacon to Benjamin Perley Poore Moseley, Frederick Moseley’s son by his first wife, Alice (Poore) Moseley. He was a note and investment broker in the firm founded by his father. Benjamin Moseley and his wife, Elizabeth Whitwell (Thomas) Moseley, made 144 Beacon their home. They previously had lived at 327 Commonwealth. They also maintained a home in Ipswich. Benjamin Moseley’s half-brother, Frederick Strong Moseley, Jr., lived with them at 144 Beacon until about 1955. The Moseleys continued to live at 144 Beacon until his death in April of 1963. 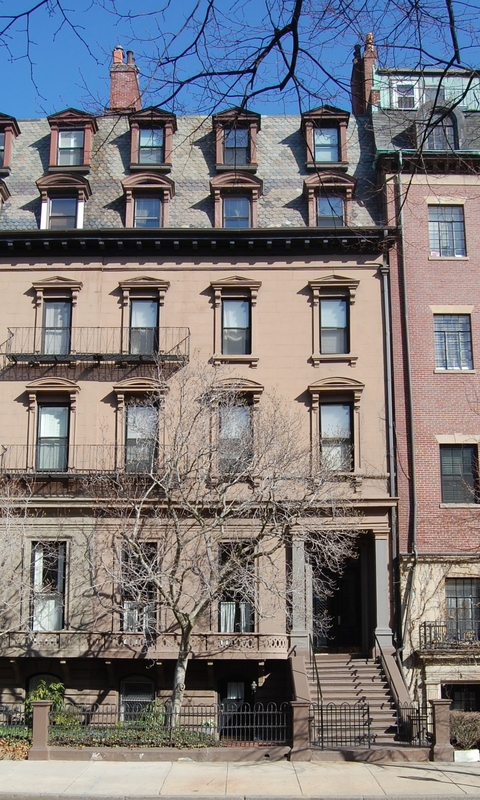 On July 2, 1963, 144 Beacon was purchased from Benjamin Moseley’s estate by 144 Beacon Street, Inc. That same month, it applied for (and subsequently received) permission to remodel the house from a single-family dwelling into ten apartments. On May 22, 1964, 144 Beacon was acquired from 144 Beacon Street, Inc., by Eunice A. Cameron, trustee of the Town House Realty Trust. On January 31, 1977, she resigned as trustee and appointed J. Carter Inches as her successor trustee. On March 17, 1982, J. Carter Inches converted the property into twelve condominium units, the Town House Condominium. At the time he filed the master deed, he indicated that there would be a “phase two” which would add a penthouse to the building. 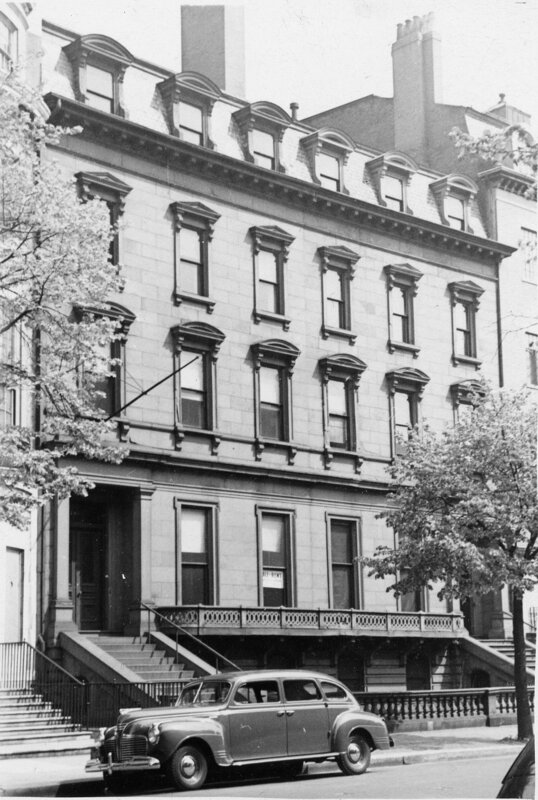 After several unsuccessful attempts, in 1984, the owners of 144 and 146 Beacon jointly proposed constructing an addition at 144 Beacon and an extension of the front of the existing penthouse at 146 Beacon, and creating a double mansard roof faced with slate and with fenestration that matched the lower original windows. The proposal was approved by the Back Bay Architectural Commission in December of 1984, and by the Board of Appeal in October of 1985, and was constructed soon thereafter. By 2008, several of the original units at 144 Beacon had been combined to make floor-through and duplex residences.